We will remember Nelson Mandela as one who inspired and united the people of South Africa and led them to freedom through peaceful acts. His vision became a reality – four years after being released from prison – Mandela in 1994 voted with his people for the first time in his life and shortly thereafter became the first Black President of South Africa. 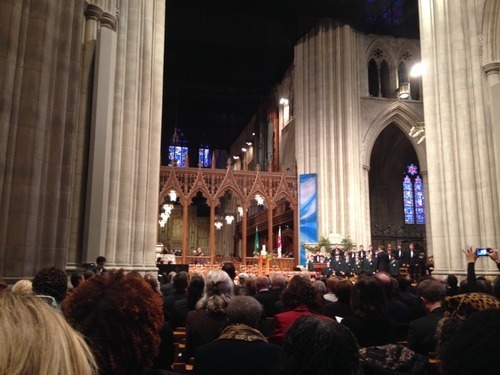 Nelson Mandela’s legacy will live on forever in the hearts and minds of D.C. residents who marveled his life. His actions and leadership has significant meaning to our city. The legacy he created will live on through future generations as we continue to break down barriers and strive for equality among all people. We will cherish and honor his memory and the contributions that he has made to his country and to the world.